On Thursday night Diary of a Dashing Fashionista invited me along to a Vibram Fivefingers Clinic which was being held at my local running shop Run and Become in Victoria. 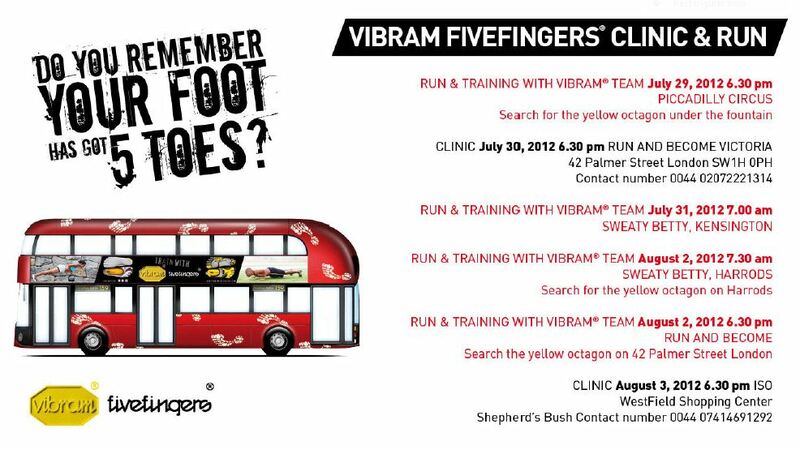 The Vibram tester team from Milan are in London for the Olympic period and have been running a series of clinics and runs around town. I’ve been running in a pair of minimilist trainers for the last month but have never tried on a pair of Vibrams or run in a pair and this clinic was a fantastic opportunity to do both those things. One of the team helped to get me fitted with a pair of Vibrams. I have a high instep and quite a wide foot and that meant that I needed a pair of men’s Fivefingers to have the most comfortable fit. Surprisingly I had to go down a size or so smaller to get the right fit for my foot. 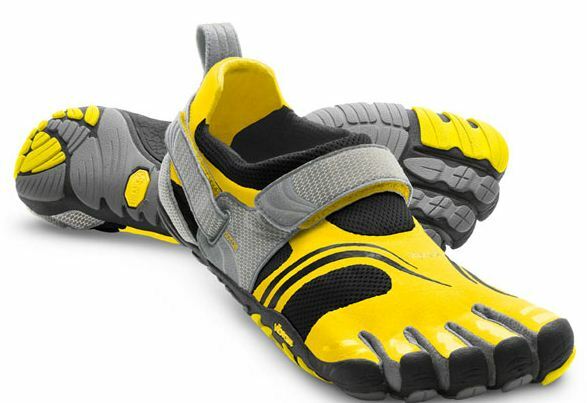 The Fivefingers are supposed to be snug on the foot but without being restrictive. Luckily most of the shoes are coloured in such a way that there’s not that much difference between the men’s and women’s! I was fitted with a pair of Komodos in grey and yellow. My first impressions were that the shoes were really comfortable and actually felt quite natural to wear. We were taken through a warm up by Corrado Giambalvo, one of the tester team who I’ve since learned is one of the world’s top minimalist running coaches! 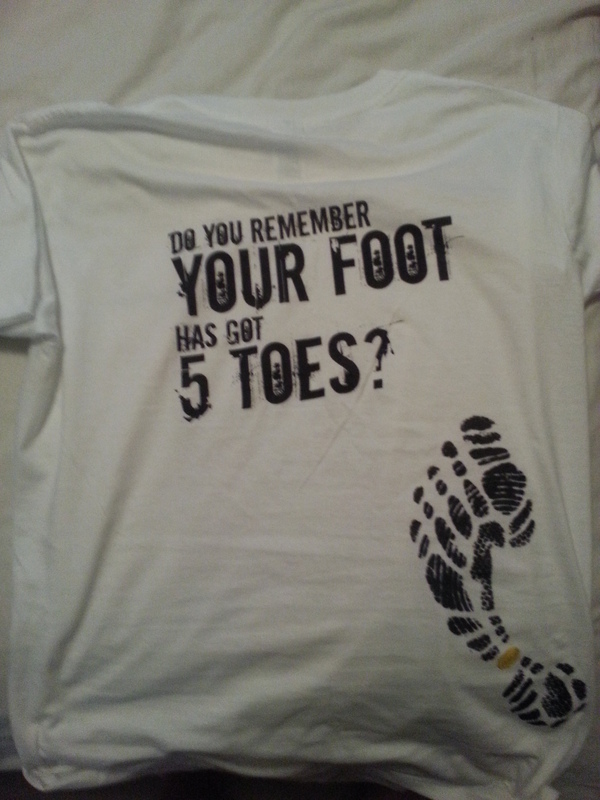 He showed us how to warm up our feet, ankles, knees and legs before we set out onto the streets of London for my first ever run in the Fivefingers. As it worked out, Dash and I were the only participants in the run so it was just us and the testing team! We headed first into a small garden opposite New Scotland Yard where we were encouraged to run on different surfaces and feel how it felt different underfoot. We then headed towards Parliament Square via a couple of zebra crossings where we were encouraged to land on ‘only white’ or ‘only black’ and played the ‘don’t step on the cracks in the pavement game’. As we ran Corrado ran alongside us giving some tips and encouragement. Apparently I run with my shoulders hunched up – probably because I sit at a desk a lot – so he showed us some drills to help make sure our shoulders were relaxed. When we got to Parliament Square we did some work on cadence with him providing the beat for us to run for. I never thought I’d find myself running around Parliament Square in Fivefigers while a very enthusiastic Italian loudly clapped out the rhythm. It was great fun. We then crossed Westminster Bridge and headed along the southbank of the river towards Lambeth Bridge. This was uninterrupted running time so I took the chance to run at my own pace and concentrate on my running form. I was expecting to feel my calves or achilles complaining by this point but everything seemed fine. The Vibrams felt really comfortable and I loved the natural, free feeling that they gave my feet. We then headed back to the shop and as we neared the end of the route some of the tester team took the opportunity to go completed barefoot on the streets on London. I didn’t join them but they looked like they were having great fun. When we got back to the shop we were given a brilliant goody bag with all sorts of Vibram merchandise in it. 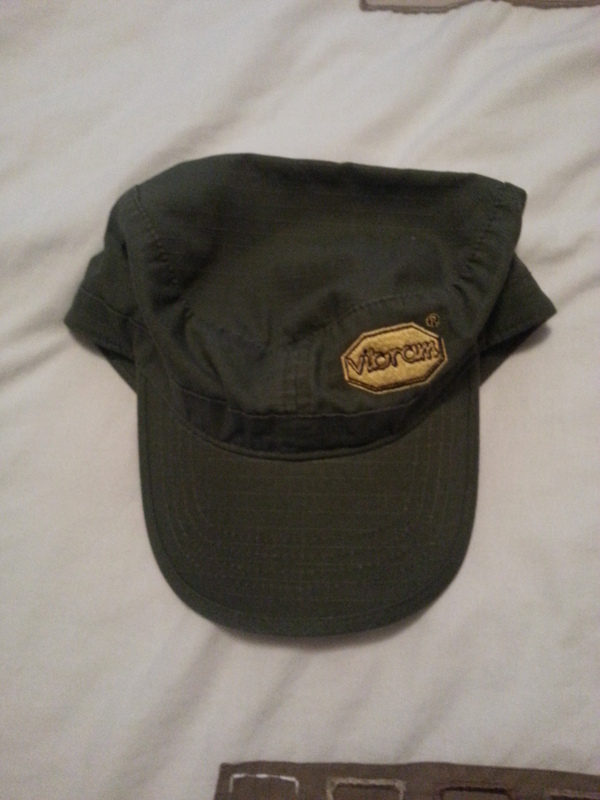 My favourite things were the T-shirt and the military style cap. 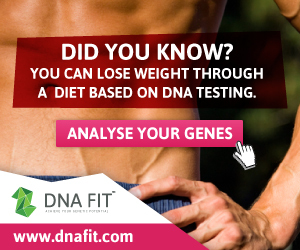 Fantastic freebies! I really enjoyed my first experience of ‘barefoot’ running in the Vibrams. I had thought it would take me a while for my legs and feet to be ready to run like this but this session has proved otherwise. I am seriously considering buying a pair of Vibrams and am just trying to work out which style will be best for me. Once I’ve bought some I’ll have to be careful about how I introduce them to my training. Once a week and just for short runs. Although my calves felt fine on the run, they felt very sore yesterday and today – the run clearly put them through their paces, even if I didn’t realise it at the time. Finally a huge ‘thank you’ to Corrado and the team for a brilliant and fun run. I really appreciated the opportunity to try out the Vibrams and to run with people who are clearly so passionate about the brand and barefoot running in general. I did think of you while we were out running and thought you would have really enjoyed it. I repeat said 1 word – jealous! 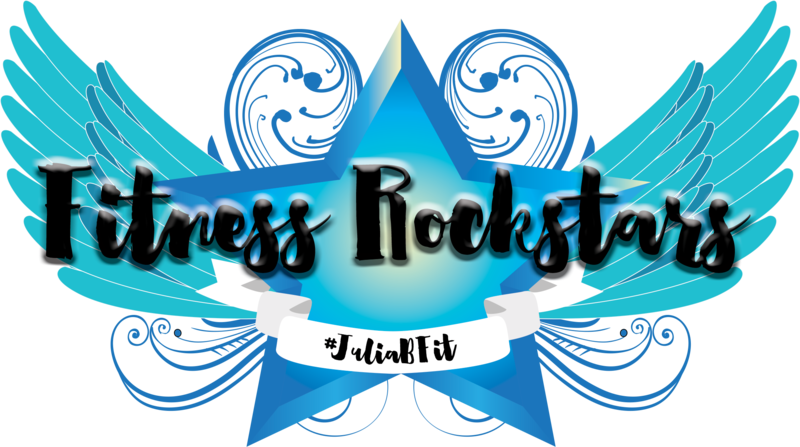 I’m dying to try barefoot running as i hate wearing shoes and the whole idea of shoes being the cause of injury rings very true, but as i over-pronate and i fear i’m a heel striker when i run i’m slightly cautious as to whether its a good idea. Am off to Cardiff in a couple of weeks for gait analysis and to get some ‘proper’ running shoes – so i’ll have to see i guess. 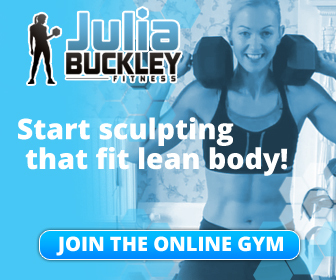 Wait and see what they say in the shop – being a heel striker is a really good reason to move to minimal or barefoot shoes as that’s supposed to be the cause of a lot of injuries and barefoot/minimal encourages you not to heel strike. It might be worth asking about minimal shoes – an easier transition than to barefoot straight away. Jealous. Me too 😉 I need to find some vibrams while I`m in Barcelona to try them or else I will probably not get the chance until.. next year? Anyways, it`s awesome how well these shoes worked for you! Would you mind sharing any of the drills that you went through as a warm-up? Was there anything new or anything that stood out? Sure! The thing we did the most of which I wouldn’t usually do was warming up our feet. We did a lot of moving our weight from side to side, forward and backwards and were encouraged to feel how our feet responded. He also got us shifting our weight from one leg to the other and lift up our legs slowly one at a time to mimic a very slow running movement. All the time he was asking us to concentrate on how our feet connected with the ground and moved to support the body weight. It was really interesting. I hope you find some to try in Barcelona!